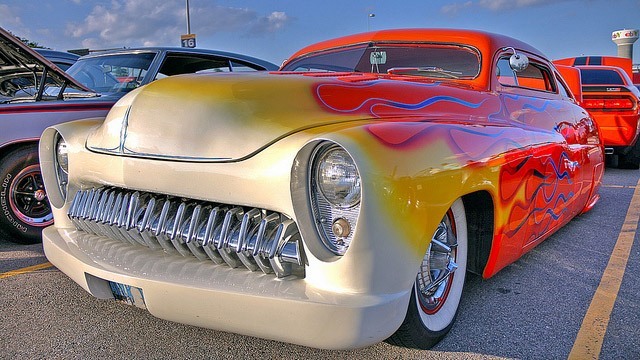 It’s not just Alan Jackson who’s crazy about a Mercury! The auto mechanics at All Time Gas & Diesel auto & diesel repair shop know that there’s plenty of folks who are crazy about their own Mercury right here in the Glendale area and beyond. The auto mechanics here at All Time Gas & Diesel are all ASE-Certified and are working toward their Master certifications to make sure that they can give you and your Mercury the very best possible care and service. The owner of All Time Gas & Diesel, Bill Maggard, has worked in the automotive repair industry since he was 19 years old and knows the difference between highly quality service and shoddy work. He and his team won’t tolerate any sub-par work or customer service. The strive for greatness and have done so since Bill opened the shop back in 1971. Mercury is only one of the many makes of vehicles this team works on, but know that they are constantly being trained to provide you and your Mercury with the highest level of repair and maintenance. “As always, All Time did an excellent job diagnosing the problem I was having and completed the repairs in a timely manner. They assisted me with a claim with my insurance company as the damage was related to an earlier repaired claim.” -- Juan B. You and your Mercury are in good hands with the team at All Time Gas & Diesel. We know what you care about and what you need to keep your Mercury running smooth for as long as possible! And to give you some peace of mind, we backup our auto and diesel repair with a nationwide 2-year/24,000-mile warranty through CarQuest. When your Mercury is in need of maintenance or repair, make an appointment at All Time Gas & Diesel or stop by at 610 S. Vecino Ave., Glendora, CA 91740. We are open Monday - Friday from 7:00 AM - 5:00 PM.